Track your employees’ location in real time with the help GPS enabled location tracing. And know where they are going and with whom they are meeting. Gain Access to every communication sent from your employee’s phone in a legal fashion. Gather Hard Evidence to allege your employee who is trying to harm your company. Stay untraceable while spying on your employees. Fraudulent activities by employees may bring a lot of shame and disrepute to a company. So as a manager you need to guard against the occurrence of any such activity by constant vigilance and monitoring. Maintaining a constant track of an employee’s activity might be difficult though even as an efficient manager. You can implement performance based incentives to guard against inefficiency but that still will not cover risks associated with leakage of information from the employee’s end. If you want to track exactly what information are being leaked out you should consider using Employee Monitoring Software like Spymaster pro to keep a tab on their communications. Spymaster Pro helps you to Track Your Employees’ every incoming and outgoing conversation from your personal control panel in real time. Constant research and development is being made to improve other important attributes of the software like real time tracking of the person at the other end of the call. By having access to all this information you can immediately guard against the leakage of sensitive information and take adequate measures. Once, the software is installed you can retrieve the information from the comfortable reclines of your home PC. 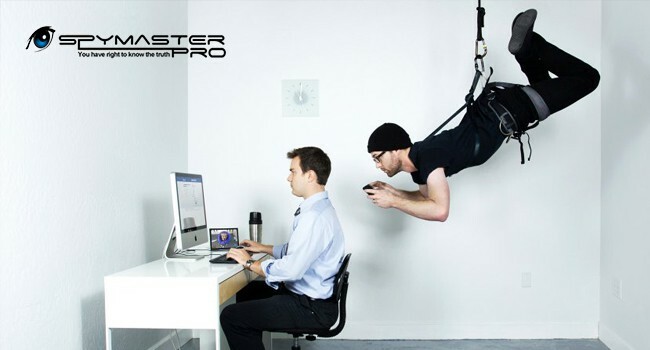 Why Opt For Spymaster Pro ? Spymaster Pro distinguishes itself from other spying software by the wide range of functionalities that is available to the user. The simplicity and ease of use of the user interface is also one of the primary reasons as to why this software has become a favorite among end users. Entire sms log of your employee’s phone will be accessible to you. Even after deletion from the employee’s phone you will receive the sms log along with the contents of each sms. You can find out exactly where your employee is at a certain point of time using the GPS tracker. This might be extremely useful to track a sales guy whose exact whereabouts can be traced. Gain complete access to the phone book of your employees and find out whether they are friends with anyone who might prove detrimental to your company. Get access to the contents of each and every email sent from your employee’s phone. Photos clicked by your employee will be stored away in a secure location from where you can retrieve in case of need.